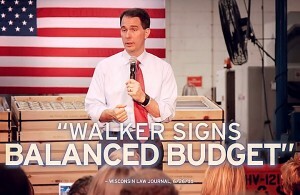 Building on his “Recall the Recall” message, the video highlights Walker’s conservative reforms of limiting state unions, smaller class sizes, school district surpluses, implementing performance pay for state workers, reducing overtime costs, balancing the state budget, and achieving $3 billion in taxpayer savings. Walker, once considered a favorite for the GOP nomination, has languished in the polls, dropping to as low as 3 percent — less than the margin of error — in the most recent national poll. Some pundits have suggested Walker’s campaign has been hamstrung by bad political advice, and that going back to what makes him popular in Wisconsin will appeal more to Americans.